ESA have just signed a letter of intent to co-operate with NASA on a Mars sample return mission (see Agencies aim to bring back rocks from Mars). I hope this does not mean a change of focus for ESA, from in situ searches, to a sample return. This expensive NASA program is more of a geological sample return and technology demo than an astrobiology mission. It's not likely to resolve any of the central questions in astrobiology. Yet there is so much involved in ensuring that Earth's environment is protected, both legally and technically, that it is unlikely that they are ready to return an unsterilized sample to Earth before 2040. This timescale is not an issue with NASA. The requirements would be the same for SpaceX or ESA, or anyone who tries an unsterilized sample return from Mars that could contain native life. If anything happens to the environment of Earth, as a result of some micro-organism returned from Mars, it affects everyone, not just the people who do the sample return. So the laws protecting the environment of Earth also apply to everyone. Our environment is no less vulnerable to a sample returned by SpaceX than one returned by NASA. In this article I will go into this timescale in detail and also explain why we need to take back contamination risks from Mars seriously. All the expert reviews of the topic have been in agreement on this. My figure of 2040 is based on estimates of the likely timescale for building and setting up the facility by the NRC and on Margaret Race's study of the legal processes required. What makes protection of the environment of Earth so complex in this case is that until we know what life there is on Mars, if any, they have to design a facility that could contain any conceivable form of martian biochemistry and martian life with any conceivable capability, at a time when the only life we know of is on Earth. If we knew that there was life in the sample, and knew what form of life it was, the design to contain it, and the legal situation might be greatly simplified, or in some scenarios, not needed at all. I will recommend in this article that to bypass the need for this delay, and indeed to eliminate any risk to Earth, that we return it to a holding cell in a teleoperated spaceship above GEO for preliminary study. If it seems that it may have life, the next step would be to send more equipment up there to study it to decide what to do next. But we can return sterilized samples to Earth right away. Also based on studies by astrobiologists, I will also recommend that we pivot to in situ studies on Mars, and that if we do a sample return, it should be a much simpler technology demo, Chris McKay's "Grab a scoop of dust and return" rather than this elaborate mission that is draining NASA's Mars exploration budget for 20 years. If NASA can't be diverted from this course of action, I hope that ESA at least can be encouraged to continue with in situ searches. The astrobiologists want to send missions to search for life in situ on Mars and have designed many instruments for these searches, some extensively tested, and reached a high level of technological readiness, with some accepted on payloads but descoped. If there was a call for astrobiology instruments, many could be ready to fly in short order, able to search for life in complementary ways. This has the potential to advance our understanding rapidly, either to find life, or gradually map out potential habitats that don't have life. But NASA has made it their top priority, for 20 years, to return up to 450 grams of samples from Mars, and nothing else is getting a look in at present. This can only tell us if there is life in 30 spots on Mars (15 grams from each one), each two centimeters in diameter, with these spots selected on the basis of geochemical and geological criteria, rather than astrobiological criteria. Now, if Mars was like Earth, if it had life everywhere you look, everywhere that there are organics, yes astrobiologists would be excited by such a mission. Mars 2020 would just need to search for organics, and unless it landed in a very cold dry desert, it would be bound to return some life in the sample tubes. But Mars is different from Earth in many ways that make this simple scenario unlikely. On Earth, nearly all places where there are organics, there is either present day life too, or traces of past life. It is rare even to find meteorites that don't have at least some traces of the action of Earth life, and indeed there is great interest in finding witnessed falls of meteorites as soon as possible, to reduce contamination with Earth life to the minimum. On Mars it's likely to be almost the reverse situation. The signal of native life, past and present, is swamped in the signal from organics from meteorites, comets and interplanetary dust, It may well have life. But it is hard to spot and we haven't looked for it since the 1970s. Curiosity is searching for habitability, not life, nor is it sterilized enough to approach the most likely places for present day life. The same is true for Mars 2020. It is not likely to find any life there, past or present, whether it is there or not. Notice how by far the biggest word in the cloud is Life, the very thing astrobiologists say this mission is very unlikely to answer, whether there is, or was, life on Mars. There is a huge disconnect between this and what the astrobiologists say in their papers. NASA has prioritized this so high, based on ideas of geologists, rather than astrobiologists, about how to search for life, that nothing else is getting a look in. It has the potential to set back the onset of the first true astrobiological mission to Mars since Viking by two decades! Can we pivot to in situ studies? Before I go any further I'd like to reassure human colonization fans that I'm keen on humans in space too. I'm an Apollo era kid who watched with great excitement the first human footsteps live streamed from the Moon, looked up in amazement that there were people walking up there, and had a scrapbook full of press cuttings for the Apollo missions (of course this was long before the internet). But there is no rush to send humans to Mars. It may seem ripe for colonization in the photographs, due to the accident that its dust consists of reddish brown iron oxides (rust basically) similar in colour to some of our deserts, instead of grey like the Moon, and that the day is roughly the same length as Earth's. However that is where the resemblance ends. Its "atmosphere" is so thin that even if you had an oxygen mask you could not breathe because the moisture lining your lungs would boil. You would go unconscious in seconds, not able to use even whatever oxygen is in your lungs, only the oxygen in your blood, and would die soon after. The temperatures get so cold at night that carbon dioxide freezes out as dry ice "frosts" for 100 days of the two year long year even in the equatorial regions. It gets half the sunlight of Earth and for weeks at a time every few years 99% of that light gets blocked out by dust storms. Remove just about all Earth's atmosphere, all its oceans, most of the ice caps, shade out half the sunlight, remove its magnetic field, shrink it so it has only a third of Earth's gravity, and that's Mars. There is nothing we can do to Earth that could make it anything like as uninhabitable for humans as Mars is. And the grey colour of the Moon actually means that it is easier to live there in some ways. It has pure metallic iron instead of iron oxides, the dust can be sintered using microwaves due to all the nanophase iron and it has no dust storms, so you don't have to keep cleaning the dust from your solar panels and habitat. The hard vacuum actually helps because you can vacuum deposit solar panels and other electronics right on the spot without need to build an expensive vacuum chamber. There are many benefits to living on the Moon including almost year round 24/7 sunlight at the peaks of almost eternal sunlight at the poles, which are also right next to permanently shadowed craters that may have several percent of ice by weight, some of it at least in the form of pure crystals - ice and also dry ice and frozen ammonia (useful for nitrogen) and other volatiles probably delivered to the Moon on comets. If we want settlements in space we can complete large covered city domes, or colonize the probably vast lunar caves, or build settlements from materials in the asteroid belt which has enough rock and metal to make settlements slowly spinning for artificial gravity with total area a thousand times that of Earth. Settlements like that, completed in a decade, are far more likely to succeed than an attempt at a thousands of years long project to try to transform Mars into a second Earth, something never attempted before, in the hope that somehow we can set up a functioning closed system biosphere on an alien planet working with half the levels of sunlight of our Earth. Even if you could give Mars somehow a complete Earth pressure atmosphere - and it doesn't seem to have anything like enough volatiles to achieve that, especially lacking in nitrogen, so terratons of gas would need to be added, perhaps from comets - it would not work. Our Earth's atmosphere would not be warm enough for trees to grow on Mars. All the proposals for terraforming involve mega-engineering with large planet scale mirrors in space, or continuous manufacture of greenhouse gases. It would also need more water - a planet with oceans or lakes would still have ice caps and indeed larger than the ones on Mars already, even if it was somehow made as warm as Earth. If you thought Kim Stanley Robinson's "Mars Trilogy" was mapping out a possible future for Mars - it is science fiction. He himself says that in reality it would not work that way. He based it on old science that is no longer valid and he tweaked the science in order to get an exciting multi-generational story. His focus, as for many science fiction writers, was more on the human stories than on the fictional science which he has as a backdrop that just needs to be believable enough for the reader to get involved in it. For the purposes of story telling, it doesn't have to be a realistic future terraforming plan, and it was not. The numbers are fudged and some of his ideas (the Moholes and the windmills) would not actually change the overall temperature of Mars, just shift heat around from one place to another, change the heat flow patterns from the interior temporarily. But in a large space settlement we can set up whatever environment we want. Often the main issue with a large habitat is heat rejection and it would be easy to keep it at any desired habitat temperature, especially in free space, using large thin film mirrors to reflect light into the habitat combined with heat rejection panels to stop it overheating. This is about why paraterraforming, city domes, lunar caves and free space settlements are far easier to build, more economic in materials and also have far more potential for total settlement area than any planet, and how terraforming just isn't practical on timescales of centuries. This is the insight that lead O'Neil and others in the 1970s to focus attention on free space colonies, rather than planets. It still applies today. Such habitats could be created rapidly using only in situ resources, and we could have the equivalent of a thousand planets in space in far less time than it would take to terraform Mars, if that is possible at all. So, I'll take that background for granted here. If we do see colonization in the future, I see small scale colonization of the Moon supported by tourism as the most likely near future prospect for this, mainly because of the high costs of space habitats and spacesuits. It's an eye watering cost of $2 million each for your spacesuit, and what it needs to do is so complex that even with mass production I'd be surprised if the cost drops below $200,000 for an item that may need to be replaced many times in one's lifetime. The ones on the ISS are rated for only 15 EVAs, with regular maintenance and repairs, and they don't have to cope with fine dust getting everywhere (see Living on a Dusty Moon). Also many think we need to urgently leave Earth because they think it is a dying planet and that we should move to another planet, a new one, that we make ourselves somehow?? When we are finding it difficult to keep the Earth's carbon dioxide levels to 0.04% (400 ppm) of the atmosphere, they want to engineer an entire new biosphere on a much colder dry planet without an atmosphere? Actually, a human extinction event is extraordinarily unlikely, almost impossible. We are warm blooded omnivores able to survive anywhere from the Kalahari to Alaska or Siberia with minimal technology. We are one of the species least at risk of extinction, and our civilization is also robust, like the internet, like a distributed network, libraries worldwide, and with widespread literacy too, even if we lost technology, knocked back, improbably, to Victorian era technology, we would still know many things the Victorians did not, and we'd probably be back where we are again within decades. See my Could anything make us extinct in this century? Then this is about how in this vision we protect and preserve Earth. Amongst other things the lunar poles with liquid nitrogen temperatures are perfect for preserving seeds, viable for thousands of years. Mars has nothing like that. It could be a far better seed vault than the Norwegian one, and perhaps the nucleus for a small caretaker colony and eventually settlement based around preserving genetic diversity of Earth life in all forms in an off-planet backup. I see our robotic exploration of the solar system as likely to happen in the context of a vigorous pattern of human exploration in space, starting on the Moon and continuing out to the moons of Mars, to the asteroids, Venus clouds, poles of Mercury and eventually Jupiter's Callisto, Saturn's Titan and beyond. We could have human bases in all those places with no or almost no planetary protection issues, with humans and robots working together, each doing what it does best, the robots as our mobile sense organs and avatars in the solar system. Now, true, we could set up city domes on Mars, sure, or attempt to cover the entire planet, or roof over the Valles Marineres, to start a process of "paraterraforming" - covering a planet with habitats for Earth life. However, we have time to decide what to do here. Within a broader context of vigorous human exploration of the solar system, it is important that we do not extinguish any native life, if present, at least until we have the time to discover it and figure out what the consequences are likely to be. It is also important that we do not act in such a way as to run any significant risk of harm to our astronauts or to the environment of Earth from microbial martian life. Mars, Europa and Enceladus have been identified by experts who devote their working lives to planetary protection as the top priority targets for planetary protection. With these three places, we need to take care about both forwards and backwards contamination in a way that is not necessary for other locations like the Moon, Callisto, etc. Incidentally the word "contamination" in this context is not pejorative; it's a legal technical term. It is the word used for this topic in the Outer Space Treaty and throughout the planetary protection literature. For more on this see my Op. Ed. You might wonder how Mars life could possibly harm us after evolving on such a different planet, or how Earth life could be harmful to martian life. Well, there are many examples in the literature on planetary protection to show how this can be possible, and I have written about this a lot in other articles here on Science 20 as well as in my Touch Mars? book. So rather than go into it in any depth, a few examples may help. "Yummy - never seen a biofilm so warm and moist!" The same principle applies to the many microbes and higher lifeforms that play essential roles in the environment of Earth. For one example, if a lifeform from Mars was to attack our plankton in the sea, or compete with them, perhaps more efficient at photosynthesis, this would strike at the basis of the marine food chain. This could have widespread consequences. We are simply unable to assess how much of a risk this might be until we have some idea of what form of life may exist on Mars. The astrobiologists who prepare Mars sample return studies state that they would expect a low risk of such harm to our environment from martian microbes, though it's not impossible. However we are demanding a lot of them, to give an opinion on the subject at all. They will make it clear that they are not speaking from any experience with an alien biochemistry, and have no way to quantify how much of a risk it really is. Some will tell you that martian life can't possibly survive on Earth. But the surface of Mars is highly oxygenated, superoxygenated indeed, even though there is little oxygen in the atmosphere. So anything adapted to Mars is not likely to find our oxygen an issue. Some of the brines may also go well above the -20 °C which is often given as the limit for Earth microbes to grow (it's a rather fuzzy boundary because as it gets colder, microbial generation times get longer and longer to the point where they are hard to study). Mars surface temperatures can get as high as 20 °C. Also over quite short geological timescales of millions of years Mars tilts back and forth, sometimes so far that it has equatorial rather than polar ice sheets, and its orbit varies between round and eccentric. At favourable tilts with an eccentric orbit, it sometimes liberates enough dry ice to double its atmospheric pressure and becomes warm enough for sporadic flows of fresh running water. It also has volcanic hydrothermal systems from time to time, sometimes melting thousands of cubic kilometers of ice into ice covered lakes over hydrothermal systems that may last for a thousand years or more. It may even have hydrothermal communities today beneath the frozen surface, and any microbes that live in these conditions on Mars would need to be adapted to extreme high temperatures just as they are on Earth. So it may well have polyextremophiles, just as Earth does, that can survive arid conditions, but also warm moist conditions, along with extremes of temperature and salinity, high levels of UV and ionizing radiation. Chroococcidiopsis is an example, a polyextremophile cyanobacteria, and one of our best candidates for Earth microbes for surviving on Mars. Strains of this microbe are found living on cold dry cliff faces in Antarctica, and hot springs in Indonesia; it can withstand high salinity, UV, low atmospheric pressure, can repair double breaks in its DNA from ionizing radiation within hours. It is remarkably well adapted to Mars conditions in simulation chamber tests. There is one hypothesis that it may have originated from Mars (see Was Earth ever infected by martian biota? Clues from radioresistant bacteria). Perhaps a more likely explanation is that its adaptations to Earth deserts and other conditions, acquired over billions of years of evolution, serve it so well that it might as well have been. It is so ancient it might be one of the microbes that first introduced oxygen to our atmosphere. Indeed, if it did originate from Mars it could be responsible for what some think may have been the greatest mass extinction in our planet's history, and at any rate, a major change in the environment of Earth. If the proposed habitats on Mars are confirmed, these Earth microbes could live on both planets and perhaps some Mars life can do the same. To return to Carl Sagan's Legionnaires' disease example, I was interested to find out that an estimated 65% to 80% of human infections are associated with invasive biofilms. So, martian biofilms could also invade our lungs as a biofilm to make our lungs more habitable for themselves. Moreover, these biofilms are particularly antibiotic resistant in Earth infections, which leads to another thought, there seems to be no particular reason why our antibiotics would work with an alien biochemistry, since they target specific enzymes and processes within living cells based on Earth's biochemistry. Life from Mars could also create toxic chemicals, for instance the Great Lakes often get green cyanobacteria blooms such as this one in Lake Eyrie in October 2011. These produce toxic chemicals that can cause sudden death in cattle within hours, and sometimes kill swimming dogs. Cows are not a natural prey of cyanobacteria. Similar examples include botulism and ergot disease. Tetanus is an example of an opportunist local infection that is not adapted to attack humans. Aspergillus is example of a fungus that acts as an allergen causing asthma in humans and sometimes as an opportunist infection can cause the more serious illness of aspergilliosis, and death. Fungi like these kill an estimated 1.5 million people world wide every year. Similar processes could attack other lifeforms in Earth's environment. There are numerous other ways that biosphere clashes can lead to undesired consequences. The example of cyanobacteria killing cattle is due to Chris Chyba and the other examples are from David Warmflash's Assessing the biohazard potential of putative martian organisms for exploration class human space missions. There is no way to assess how likely any of this is, but it is clear that it can't be declared impossible out of hand. “How likely is it then, that ‘non-self’ recognition will work also for alien microbes?" "Here we presume, that general evolutionary principles hold. Namely, that biological defense mechanisms evolve only when the threat is actually present and not just a theoretical possibility. Under this assumption the outlook for two clashing complex biospheres becomes quite dire." "In the best case scenario the microbes of one of the biospheres will eat at first through the higher multicellular organisms of the other biosphere. Primitive multicellular organisms may however survive the onslaught through a strategy involving rapid reproduction and adaption. The overall extinction rates could then be kept, together with the respective recovery times, 1–10 Ma, to levels comparable to that of terrestrial mass extinction events." "In the worst case scenario more or less all multicellular organism of the planet targeted for human settlement would be eradicated. The host planet would then be reduced to a microbial slush in a pre-cambrian state, with considerably prolonged recovery times. The leftovers of the terrestrial and the indigenous biospheres may coexist in the end in terms of ‘shadow biospheres’ "
Developing ecospheres on transiently habitable planets: the genesis project. It's the invasive microbes that do all the damage to the biosphere here, so the worst case would be similar to the worst case for returning invasive microbes from an alien biosphere to Earth. In the worst case, I don't think life from Mars could make humans extinct with modern technology (though perhaps it could have with Apollo era technology, depending how fast it happened). Once we know the capabilities of an invasive microbe, if worst comes to worst, we can "paraterraform Earth" by covering large areas with habitats designed to protect native Earth life, and keep out the alien biology. It would be far easier than paraterraforming any other planet. We might even end up, after a massive engineering project, with a planet more habitable for humans than it is now. But the very worst case must surely include mass extinctions and short term severe degradation of the environment of Earth, at least for our own DNA based life, and it could mean extinction of all higher life outside of habitats. Assessment of Planetary Protection Requirements for Mars Sample Return Missions, page 58. Some will tell you that Earth and Mars life have to be related, and that anything that could get there from Earth, and live on Mars is already there. This is Zubrin's argument, but it is not generally accepted, as we'll see in the next section. We do get tons of meteorites arrive from Mars every century but any arriving right now has spent at least 600,000 years in transit and is sterile, and come from layers deep below the surface that probably don't have life in them anyway. More on this in the next section. Astrobiologists when designing instruments that they wish some day to send to Mars have decided that they need to be ready to discover any form of biochemistry there, including early life and life radically different from Earth life. Others will assure you that any micromartians are so unrelated to Earth life that they will not be able to survive in the same conditions. This is indeed possible, but Mars is not like Titan. This moon of Saturn is so cold that no Earth life could survive there, so cold that methane is a liquid there. It also seems unlikely that any hypothetical Titan life could survive in the much warmer conditions on Earth, or be able to adapt from living in liquid ethane / methane to living in water. Every review of a sample return mission has come to the same conclusion. We do need to protect Earth's inhabitants and environments from the potential for large-scale negative effects after a sample return mission. There is no chance of public reviews and legal processes ignoring these warnings by experts on astrobiology. The legal and practical issues are formidable and don’t seem to have been addressed at all yet. These issues apply to anyone who wishes to return an unsterilized sample from Mars. If SpaceX wanted to do it the same issues would apply to them too, and they would have to go through the same processes. With Apollo 11, NASA published their provisions for protecting Earth on the day of launch of Apollo 11. There was no chance for anyone to object or study them. Those old regulations were rescinded long ago. They are now known to have been inadequate even by the standards of their time and they were not kept to either. There were many breaches due to staff not familiar with the procedures and executive decisions to just override recommended provisions, against the protests of the planetary protection experts of the time. 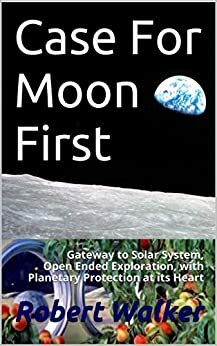 Meltzer documents this in some detail in his book "When Biospheres Collide: A History of NASA's Planetary Protection Programs:" Luckily there was no life on the Moon, but we cannot be sure that the same will be true for Mars, and there is no point in a purely symbolic attempt to protect Earth. Nowadays, with greatly increased awareness of environmental issues that we just didn’t have back in the 1960s, and many new treaties, that approach would simply not be permitted. Now, it is true that we can, and already have returned samples from a comet or asteroid without any new laws. This is done under the auspices of COSPAR, an international group of scientists that meets to work out planetary protection guidelines. That's okay because they can show that there is no risk to the environment of Earth as we get samples from such objects enter our atmosphere all the time. However, we can’t use the same approach for a Mars sample return, as both the NRC and the ESF studies concluded. It is true that we get tons of rocks from Mars arrive here every century. However they all left Mars at least 600,000 years ago as a result of occasional impacts every one or two million years, with maximum diameter 1 meter before entering our atmosphere. This means they are all thoroughly sterilized by cosmic radiation. The rocks also all came from at least 3 meters below the surface, mainly from impacts into the high southern uplands (where the air is thinner). For some of those details see this paper from 2002. The chance of any life getting onto the meteorites from present day Mars is low, and surface layers would be ablated away during re-entry into our atmosphere. The salts, ice and dust would not get into orbit at all. It is entirely possible that no life on Mars has ever got to Earth. It is also possible that it did. If so, this is much more likely billions of years ago when Mars was more habitable. We do get tons of material from Mars every century. But it is sterile and quite possibly has been so for billions of years. Even rocks that got here within a century of the impact, probably had no life on them. Also - the possibility of panspermia from Mars to Earth is based on extrapolation from Earth life - that for instance martian life can withstand the same sudden thousands of g shock levels as some of our most hardy Earth microbes. But, for instance, the minimum shock of ejection from Mars is right up at the upper end of what is tolerated by photosynthetic life on Earth. It's entirely possible that no martian life can withstand it. That has no bearing on the question of whether it could be hazardous to the environment of Earth - it doesn't have to withstand thousands of gs shock to harm the environment or some of the creatures here, and there isn't any obvious connection between being able to withstand high gs and being harmful to Earth life..
To be equivalent to the sample return for the purposes of planetary protection, as for the comet and asteroid samples, any life returned in the container has to be life that could also get here on a meteorite. Perhaps some species did get here, but most of the species on Mars would most likely either not able to survive the shock of ejection, the cold and vacuum conditions, and the ablation from the fireball of re-entry - or else, are in layers that can't get here such as the ice, salt and dust, or in system of caves deep below the surface but with a connection to the surface. So, return of a sample from Mars in a container in one of our spaceships is not equivalent to its return as a result of a meteorite impact into the southern uplands, and so we can't use Goodman's natural contamination standard here as we can for comet and asteroid sample returns. In the other direction, the last time any rocks got to Mars from Earth was 66 million years ago as a result of an impact into a shallow tropical sea. The rocks leave the atmosphere at 11.2 km / sec so formed a fireball all the way through, with centimeters of surface layers ablated. Then any life that remained on arrival at Mars is buried deep within a rock, and the chance of it hitting a habitat on Mars is tiny. It is possible that life got transferred from Earth to Mars or vice versa, but it is much easier in the early solar system. Whether it happens at all depends on how resistant that early life was to the shock of impact, and the vacuum, cold and ionizing radiation of space. This is why astrobiologists are unable to say with any assurance whether or not modern Mars life will be related to Earth life. It is possible, but not at all certain, that we are distant cousins, and if so, most likely from billions of years ago. They also can't say whether, if related, our common ancestor postdates or predates the last universal common ancestors of all Earth life. When they design instruments that they hope to fly to Mars to search for life in situ, the astrobiologists have to be prepared to find any conceivable martian biochemistry, including early RNA world life not based on DNA, and perhaps without proteins, or life perhaps without RNA too, some other backbone such as PNA, possibly radically different from Earth life. We simply do not know what we are likely to find on Mars yet. That's why any life from the planet has to be treated as potentially hazardous for the environment of Earth, and it is the reason for all the legal issues and the complexities. Since we don't know what is there, we have to design a receiving facility that can protect the environment of Earth from any conceivable form of life that might exist on Mars. It is likely to be microbial, but it need not be based on DNA and could have properties that no Earth life has ever developed. "The initial processing of returned martian samples should be restricted to a BSL-4 laboratory in the quarantine facility. A very modest gas-tight glove box (Class III cabinet) in a "clean room" (class 10; however see following g section) will be sufficient for this purpose. " These requirements were made more and more stringent as a result of the discoveries of ultramicrobacteria, the studies of the minimal possible size of extraterrestrial microbes (thought to be around 50 nanometers, a quarter of the minimum size for modern Earth life) and the discovery of how easily capabilities can be transferred through lateral gene transfer, to the most distantly related microbes. Even distant cousins on Mars, separated from Earth life for billions of years, could easily swap genes with Earth life overnight in sea water. Even if they were dead. Even if particles only a few tens of nanometers in size got into the sea water that could still be enough to transfer a capability from martian to Earth life. The most recent study by the European Space Foundation required a $500 million facility with design requirements never fulfilled before that has to prevent escape of any particle of 50 nanometers diameter or more (a quarter of the resolution limit of 200 nm for a diffraction limited optical microscope) under any circumstances. They leave it for further discussion whether a 10 nm particle can escape from the facility, recommending that they also should be contained, and that if this is not practical, that the situation needs to be reviewed. These are extraordinarily demanding requirements, especially when you combine them with the requirement to keep the martian life uncontaminated by Earth life so that it can be studied. It's perhaps not surprising, however, that the process is so complex and difficult. We would build the same facility to receive an unsterilized sample from a habitat in the Proxima Centauri system! We can expect a new study to increase the requirements further, at least each previous study has done so. Then the law, whatever it is, would be likely to be based on their recommendations, after much deliberation during which the public would be involved at every stage in a full and open way. But the legal situation would have to be sorted out too, before the mission could be launched. Also it is not likely that the facility would be built until the legal provisions are in place. Margaret Race looked in detail at the legal processes that would have to be completed before we can return a sample from Mars to Earth, even to a purpose built receiving facility. Several years: Formal environment impact statement for NEPA + laws on quarantine to be enacted, involving broad public consultation. The average length of time for an EIS in the twelve months ending 30th September 2016 was 46 months (see the DOE's Lessons Learned Quarterly Report). Several years: Presidential review of potential large scale effects on the environment. This has to be done after all the other domestic legislation is completed. I have only mentioned a few of the main points there. She found that under the National Environmental Policy Act (NEPA) (which did not exist in the Apollo era) a formal environment impact statement is likely to be required, and public hearings during which all the issues would be aired openly. This process is likely to take up to several years to complete. During this process, she found, the full range of worst accident scenarios, impact, and project alternatives would be played out in the public arena. Other agencies such as the Environment Protection Agency, Occupational Health and Safety Administration, etc, may also get involved in the decision making process. The laws on quarantine will also need to be clarified as the regulations for the Apollo program were rescinded. In the Apollo era, NASA delayed announcement of its quarantine regulations until the day Apollo was launched, so bypassing the requirement for public debate - something that would be unlikely to be tolerated today. It is also probable that the presidential directive NSC-25 will apply which requires a review of large scale alleged effects on the environment and is carried out subsequent to the other domestic reviews and through a long process, leads eventually to presidential approval of the launch. Margaret Race does not estimate a total time for all this. But we need a figure to work with here, so let's say, as a a rough estimate, that a decade would seem optimistic to complete it all. (if we follow the Mars 2020 plan then the follow up rover has to retrace at least part of the path of Mars 2020 to retrieve the samples, in tubes that are dropped on the surface of Mars in small caches from time to time). That add up to an extra 11 - 20 years after the legal process has completed. Total 21 to 30 years. The process of building and testing the facility alone could take 20 years if we go by the upper estimates there. This means that if we want a sample returned to Earth by 2040 we should start on this process right away in 2018 - there is no time to lose. Indeed, it is probably already too late to achieve a sample return date of 2040. It would be no great surprise if it was delayed to 2050 or later through either legal delays or delays in building the facility and getting it operational. 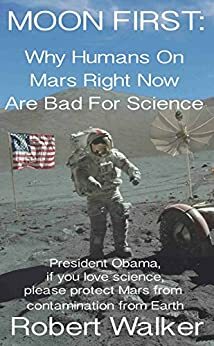 Over this period of two decades it takes to pass all the laws, then approve the facility, build it and test it, our understanding of Mars through in situ searches could develop to the point where we prove that native Mars life is harmless and discover that the whole process was unnecessary. Yet it also is possible that during this time we find life on Mars that would be hazardous to the environment of Earth. The reason the facility would be legally required is because of this possibility. The lessons learnt from Apollo show that we have to take great care, if our backward contamination measures are to be more than a token measure. Also we have many examples that have brought home to the general public and our elected officials that protection of the environment does matter. If this is accepted, then it is right that such a procedure should have detailed impact assessments, and that public involvement is encouraged at every stage of the process. At any rate whatever you think are the rights or wrongs of this, it is the situation we are in. This seems an impossible situation. We can't wait to 2040, never mind 2050. So, what can we do? First, if they sterilize any samples returned to Earth, they could do this through COSPAR without need for passing numerous laws or building a sample return facility on Earth to a design never tested before. Surely this is what they will do. But - what about any life in the sample? If there is any life there, do we not need to be careful not to sterilize it? Well, we will see later that the chance there is life in any samples cached by Mars 2020 is pretty low. So maybe there is no need to do anything, just sterilize the whole thing and return it to Earth. A natural way to do that is to use ionizing radiation, such as a gamma ray source, as it is similar in its effect to cosmic radiation. On the remote chance there was life in the sample, it would then be still identifiable as having been alive, hopefully, though no longer alive. But there may be a better solution. If there is a chance of life in the sample, my suggestion is to return it, unsterilized, to perhaps a few tens of thousands of kilometers above GEO (Geostationary Earth Orbit), to a holding cell in a spacecraft. We then send instruments to study it telerobotically, always in the direction from Earth to the sample, to decide whether this is life in it, and if so, how best to handle it. I've chosen this location because it is the orbit furthest in terms of delta v from Earth or the Moon, of any point in cislunar space. This also has the great advantage that it is well outside the range of any Earth orbital debris from LEO or MEO (medium Earth orbit). Any debris from collisions between the geostationary satellites themselves will be slow moving, because they are almost stationary relative to each other. They can't send debris to much higher orbits. It is also a dynamically stable orbit long term. All this makes it very safe. It is also easy of access from Earth. It is easier to get to than the Moon which is the most usual suggestion of a place to return it to outside of Earth. Anyway the Moon is ruled out at present because of a COSPAR guideline to protect it during a sample return mission, which would have to be changed first. The other location usually suggested, LEO, has issues of orbital debris and decaying orbits. A return to above GEO avoids all those complications. The outer circle of white dots in this image shows the satellites in GEO together with orbital debris in the graveyard orbit above it. Satellites in GEO are retired to this "graveyard orbit" 300 kilometers higher at the end of their lives. For more images see the orbital debris gallery here. This video shows the orbital debris in motion, and from different angles. Notice that the satellites in GEO are stationary relative to the Earth's surface, so any collisions between the satellites will have very low relative motions. We could return some samples to Earth right away so long as we sterilize them first. That should satisfy the geologists. I suggest using ionizing radiation to sterilize these samples again, because that happens anyway on Mars, and it would still preserve some evidence such as chirality and complex chemistry for astrobiologists, if there was any life in the sample before it was sterilized. It's also easy for the geologists to take account of this, as they already disentangle the ionizing radiation effects of the journey from Mars to Earth when studying Martian meteorites. Returning to above GEO simplifies the whole process hugely. You don't have any concern about staff not using the right protocols because it is studied telerobotically. Nothing the staff can do, by mistake, laziness or attempts to cut corners can lead to life from a spacecraft above GEO escaping into the environment of Earth. There is no risk of sample release to the environment of Earth as a result of accidents, human error, natural disasters such as hurricanes, or earthquakes, lapses of protocol, design issues, or even terrorists, or breaches of the container due to the fiery heat of entering the Earth's atmosphere from orbit. Saves half a billion dollars of up front cost. All the missions to study the sample above GEO can be treated as extended missions. The half billion dollars of a Mars receiving facility is equivalent to an entire new Discovery class mission. Some sample return mission proposals already have a return to a a receiving vessel in orbit as a way to avoid the fast re-entry of a direct Earth return trajectory. If the samples are rapidly shown to be of no great astrobiological interest - as the astrobiologists predict at present - you can just sterilize them and return them to Earth and don't need to do any other special handling. You can treat them much like the Mars meteorites. This is a huge cost saving. In this case you don't have to study it telerobotically in GEO, beyond a rapid early study with life detection instruments, but just sterilize the whole thing and return it to Earth as in the previous suggestion. It also has the great advantage that we design for what we discover as the mission progresses. There is no need to design an all purpose "swiss knife" of a faculty able to deal with all conceivable biochemistries. We may never need to build that half billion dollar facility at all, even when eventually we return samples of life from Mars. For instance if what we find is early life, based on RNA or primitive autopoetic cells that don't yet reproduce exactly, it might be easy to establish that there is no possible hazard for Earth at all. In that case, perhaps it doesn't need to be studied in a biohazard containment facility, not of level 4, indeed, not of any level. Perhaps all that is needed is one way protection to keep Earth life out of the sample. To do this, we don't need to establish that all life on Mars is safe for Earth, just that there is no hazardous life in the sample itself. On the other hand, we might decide that what we find in the sample needs extreme caution. For instance, if we find some exotic form of life which is not based on DNA, and that our immune systems would not recognize it as life, we might decide that our biology has no natural protection from it, as Joshua Lederberg suggested as a possibility. Or perhaps we decide that it is has a much more complex genome than any Earth microbe, billions of years advanced on us and we can't figure out what it does yet. Or it has a capability Earth life doesn't have such as the ability to be able to reproduce at temperatures down to -80 °C, which might make all our fridges and freezers obsolete if we returned it to Earth. One of the lessons from Apollo was the natural natural human inclination to ignore low probability risks of extreme events. Three seasick astronauts were far more important to mission planners than an unlikely risk of back contamination undermining the marine food chain. As a result they decided to set aside plans to hoist the module onto the carrier using a crane. Because of this executive decision by the mission planners, we might as well have had no protection at all for Apollo 11, at least for the sea, as the dust from the Moon got everywhere inside the module and some of it must have got into the ocean the moment they opened the hatch to let the astronauts out onto a boat in the open sea. They had protective suits on, but after that, they were largely symbolic. If we do it as I suggested, containing a known hazard at each stage, then if we need precautions - the planners and staff will know that there is life there, and that it is potentially hazardous. They will design a protocol that really does work, and think through all eventualities, and take great care to make sure that it is going to be effective, and is not just a symbolic gesture Nobody would think of just opening the container, and letting the particles out to cut corners. If we find life that is so "feeble" that no precautions are needed, then there is no need to build what would then be a totally unnecessary facility. Any legislation will surely be simpler and at any rate passed easily with no opposition. It may be possible to handle the whole process under COSPAR with a planetary protection plan similarly to comet and asteroid sample returns. If it has no great astrobiological interest, we sterilize the sample and return it to Earth. So then the main remaining question is - is this idea to return a sample to above GEO itself safe against accidents? Is there any risk of any of the material in the sample getting to Earth? So, first, the only thing that could damage and release the sample above GEO is an impact, but there wouldn't be any risk from spacecraft debris, as any debris in GEO or the graveyard orbit a few hundred kilometers above GEO wouldn't travel far. It would orbit well above any chance of a collision. So the only real chance of an impact leading to release of the material from the sample, would be from natural debris from asteroids and comets. Assuming it has thrusters to position itself, then it could also maneuver to avoid such hazards, just like the ISS, but it might be an issue detecting small debris at that distance from Earth and its radar systems. It would of course have Whipple shields to protect from micrometeorites. So, is there any chance that a natural meteorite hitting a spacecraft above GEO, with Whipple shields, and able to "dodge debris", could send viable life to Earth from the satellite? It seems unlikely at such a distance. However I leave this for experts to look into in detail, if the idea seems to have merit. What about the risk of the sample released during an aerobraking maneuver in the Earth's atmosphere? Mars sample return missions often suggest an aerobraking maneuver, either to circularize the orbit to make it easier to reach LEO, or a direct return to Earth, with a fast re-entry with aeroshell and parachute. However, there is an alternative here, to return it to a Distant Retrograde Orbit. This is the same orbit that the Asteroid Redirect Mission proposal used, for returning a sample from an asteroid to cislunar space. This orbit is in synchrony with the Moon, a 28 day orbit around Earth, but it is also highly elliptical. The satellite orbits Earth more slowly when further than the Moon and faster when it is closer to Earth, and so as seen from the Moon it seems to orbit it in a retrograde fashion. It's a more stable orbit than a prograde orbit around the Moon and has the advantage that it can be made as large as you like in diameter, even continue all the way to LEO in a retrograde orbit around the Moon. But it's also a prograde orbit around Earth and is within easy reach of GEO. It is an orbit that is stable over time periods of centuries.So, the suggestion is to return it to a DRO with its perigee a few tens of thousands of kilometers above GEO, and then the sample collecting spacecraft would circularize its orbit down to above GEO. The least delta v for a Mars return vehicle is to use aerobraking in Earth's atmosphere. However, if we return it to DRO, in this way, we save on the weight of a heat shield, and parachute, which may compensate to a greater or lesser extent for the increase in delta v. Lockheed Martin suggested using astronauts to retrieve a Mars sample from DRO using the Orion spaceship (once ready). This suggestion is similar, and the only difference is that it is retrieved robotically, rather than asking astronauts to retrieve it manually, and then of course the final orbit is circularized to above GEO instead of LEO. The result is that we have a way to return it, that is not much different from a normal sample return mission. It just adds an extra step of analysing it above GEO before deciding what to do next. So now, let's see why astrobiologists regard it as little more than a technology demo for their discipline. Modern Mars has a constant influx of organics from meteorites, comets and interplanetary dust. There is enough to have 60 ppm of organics in its surface, averaged to a depth of 100 meters (see page 247 of this paper). Early Mars was potentially nearly as habitable as Earth, but not for very long, compared to Earth. It may never have developed photosynthesis, and if it did, it may have arisen too late in its history to lay down thick deposits before it got too dry for abundant life. Also, although the ionizing radiation is not sterilizing over thousands of years, causing a few defects easily repaired by a radioresistant microbe, the damage is exponential and quickly mounts up over longer time periods. Over a time period of a hundred million years it would destroy all surface amino acids and nucleotides, with most of it converted into water vapour and gases. This means that if a layer of organics from early Mars, say, sediments in a delta, were exposed to the surface for as little as 100 million years at any time in the last over 3 billion years, then there would be nothing identifiable of it left. For an identifiable signature, the organics have to be buried rapidly after formation, then stay buried, and then be sampled by drilling or else returned to the surface within the last few million years. It would be identifiable as life if it has stayed buried at a depth of 2 - 10 meters or deeper for most of the time since it was buried. This past life may well be there . It may be that to find it, we need to look in the fossilized ancient hydrothermal vents, or thick banded layers of clay, or salt deposits of ocean beds, or sediments from ancient deltas. There are many places to look. But in all these places our missions need to be able to drill to at least a couple of meters. If we can't do that, then it depends on extraordinary luck to hope to find life. We would need the right layer exposed by a meteorite or by wind erosion quickly enough, before the recently exposed organics gets completely destroyed on hundred million year timescales. Most past organics on or near the surface will be long gone, and what is left is mixed in with infalling organics from interplanetary space. Mars 2020 can't drill to any depth. Also it doesn't have the capability of distinguishing between organics from meteorites and the remnants of past life. Both of these capabilities have been identified by astrobiologists as top priorities for searching for life on Mars and it can do neither. That's why the chance of it caching a sample of past life seems to be low. There may also be present day life there too. In the future Earth may become so hot that only a few heat hardy lifeforms linger in high caves in mountains. O’Malley-James calls this a "Swansong Biosphere". In his thesis he suggests that the same may have happened to Mars to, but this time it would be life lingering on a planet that has become so cold that life can barely survive there. The most habitable areas of the Mars surface are likely to be similar to some of the least habitable areas on Earth, our coldest driest deserts. Yet there may be life there lingering still, much like those hardy heat loving microbes in mountain top caves on future Earth, except that these are cold loving microbes, surviving in cold dry conditions on Mars. There could be life in caves too, not necessarily the lava tube caves as those are just the ones visible from orbit. As with Earth, Mars may have extensive cave systems formed by various processes, not so easy to see from orbit, perhaps connecting to subsurface geothermal systems, or perhaps fumaroles, maybe venting small quantities of volcanic gases and moisture, maybe even building up an ice tower as an ice fumarole that would mask the heat signature, as well as deeper subsurface ice. The recurrent slope lineae (dark streaks that form on sun facing slopes in spring when temperatures reach O C locally, and extend and broaden through the summer and fade away in winter) may indicate some connection between the surface and a more habitable subsurface, according to some ideas - it might explain why some slopes have them, and others, apparently similar, do not. None of that present day life is likely to be cached by Mars 2020 and returned to Earth, except by chance. It might not detect any organics at all, and if it did it would not be able to show that it is organics from life. It will also not be sterilized sufficiently to approach the RSLs or any other potential present day habitats. Nor can it dig to find the brine layers that Curiosity drives over, to check for native life perhaps able to survive in conditions Earth life can't tolerate, or to search for biofilms that may modify the habitat (a suggestion by Nilton Renno). So what would Mars 2020 identify as its prime targets to return to Earth? Well, if it were to find rocks on Mars similar to the Tissint and ALH84001 martian meteorites, it would drill into them and return the cores as its top priority targets. Those are the very meteorites that have been the subject for years of on going debate about whether they have evidence of life or not in them. If such samples were returned from Mars, the debates would continue and they would be unlikely to resolve any of the central questions about these meteorites. Also those meteorites would be a best case scenario, as those rocks were sent to Earth from at least a meter below the surface. Rocks returned from the surface are likely to have most of the organics removed through the effect of cosmic radiation. There are some organics there, because Curiosity has found them, and the returned samples would be the advantage that you have the context of the rocks on Mars to help interpret them. But if there is no clearly identifiable life in the sample, either never there, or all destroyed long ago, what use is the context? Mars 2020 could drill out a core just a few cms to the side of a patch of endolithic life in a rock and not know it is there, as it can’t detect it. It could drive over biofilms a couple of cms below the sand every day and again there would be no way to know they are there. There could be near pristine organics from ancient Mars two meters below its tracks and again it would not know this, and nor would there be any way to get at it them if they did know this. There could even be recognizable past organics that have found their way to the surface by some lucky chance, but Mars 2020 would not be able to distinguish them from organics that got into the regolith from space. Mars 2020’s sample tubes will not even be fully sterilized (they permit a small chance of a viable microbe in the tubes). If it did return a viable spore that was distantly related to Earth life, then it would be impossible to rule out the possibility of it being a microbe from Earth, only a tiny fraction of a percent of which have ever been sequenced. There is no problem in any of this, as such. Such a mission would help discover more of the geology of Mars and that is indirectly of interest to astrobiology. The rocks it returns may help find out more about the history of organics on Mars and how they formed. We have had sample returns from comets, asteroids and the Moon, and this would be useful in the same way those were. But it's not an astrobiology mission. It could be useful to have a low cost technology demo for astrobiology. Chris McKay in this interview proposes "a mission that scoops up a bunch of loose dirt, puts it in a box and brings it back to Earth", a couple of days on the surface tops, a simple low cost mission. It would probably tell us nothing about astrobiology- but it would tell us a fair bit about the lunar soil, about whether it is hazardous to astronauts or not, and it would be a demonstration of technology that could be used for a later sample return of samples of more astrobiological interest once we know how to identify them. The problem is not the sample return as such, but that it is such an expensive and difficult mission. So much so that NASA don’t have the budget to do in situ astrobiological study at the same time. It is a double decade mission, what's more, Mars 2020 to cache the samples, and its successor, which is not yet designed or approved, to return them, so this commitment to a sample return has meant the prospect of another 20 years delay before we can hope to see the first true astrobiological in situ missions to Mars since the two Viking missions of the 1970s. Sadly the Viking missions were confused by the unexpected surface chemistry, and though we know how to counter those issues, there have been no follow ups since then. The priority for the sample return mission has been set so high for NASA that they recently canceled a satellite that was going to launch in 2022 to bring broadband communications to Mars. It was going to use optical communication methods to return up to 800 gigabytes of data per day from Mars. It would have let missions to Mars send more data back each day than all the data returned from the New Horizons Pluto flyby. This would have made a huge difference, as the limiting factor for so many of our missions is not so much the latency, as the bandwidth for returning data from Mars. For instance the high resolution orbiting imagers could return hundreds of images a day, and rovers on the surface could return multi-gigabyte 3D panoramas multiple times a day if we had this satellite in place. However none of that is necessary for their top priority double decadal objective. They determined that the Mars sample return mission does not require high bandwidth communications back to Earth, and the sample collection can be done with the satellites already in orbit around Mars. So, because the budget is tight, they decided that this satellite is no longer a priority for them at this time. 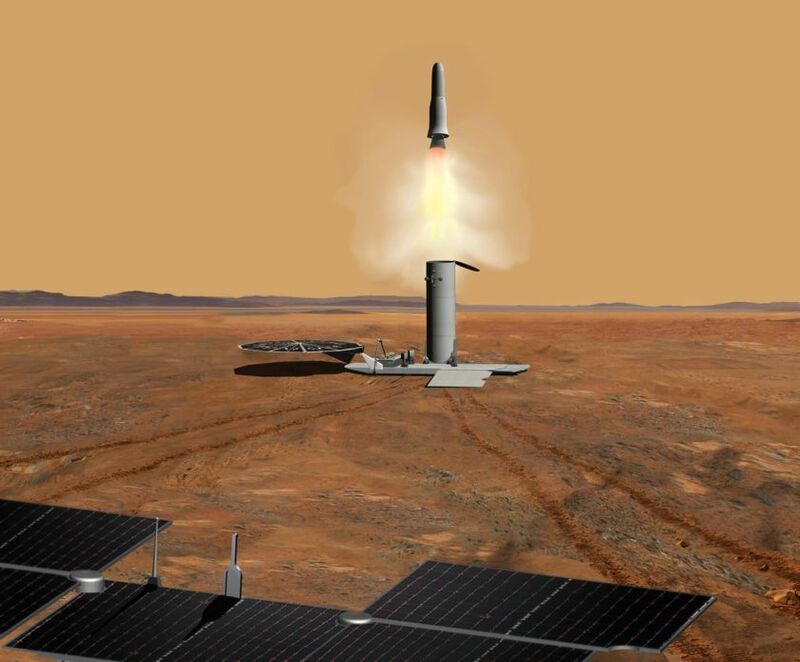 ESA seems to be the only remaining hope for a near future astrobiology mission to Mars. So that's why it is so sad if they also follow down the sample return route. TGO and ExoMars are interesting missions, with ExoMars able to drill to 2 meters and TGO able to detect trace gases from orbit at minute trace levels and perhaps be able to pin down the sources of the methane plumes, if they are confirmed. But ExoMars does not have any dedicated astrobiology instruments on board (after Solid3 was descoped). A future ExoMars with a suite of several in situ astrobiology instruments would be awesome. It will be so sad if they choose to collaborate in a sample return instead. In the forwards direction, then one possibility for Mars is an early form of life, an evolutionary stage that predates the last common ancestor of all Earth life (LUCA). Many recent papers on the origins of life follow a direction suggested by Carl Woese, in a 2002 paper On the evolution of cells. He proposes that there may not have been a single LUCA. Instead, it may have been a community of "modifiable cells", evolving by sharing new traits widely by massively horizontal (Lamarckian) evolution and working together much like the microbes in a biofilm. This is still a large component of evolution for modern archaea, where both vertical Darwinian evolution and horizontal Lamarckian evolution play major roles. If Mars does have life from an earlier stage in evolution before the first appearance of Darwinian evolution, it may be well adapted to its environment, with unique capabilities, and yet never have needed to build up defences against other life. Instead, the life would set a priority on its ability to take in "naked RNA" through the cell walls of easily modifiable cells. One hypothesis for the minute cell like structures in the controversial martian meteorite ALH 84001 is that it might be an early form of life of this type, with cells so small because they do not need the complexity of modern Earth life, with no need for defences and a simpler biochemistry, perhaps based on RNA only and without the enormous ribosomes, that our cells use to make proteins from RNA. Instead they might have the much smaller ribozymes as enzymes, and they may not use proteins at all. It is possible that such life, if these structures were life, might still be there on Mars, although it is long extinct on Earth as far as we can tell (searches for it as an RNA world "shadow biosphere" have turned up a blank). use catalysts such as manganese ions to assist replication, and don’t yet have any specific enzymes to speed up replication. The RNA does not yet have a functional role in these cells but they are hopeful that it will in the future, and that the cells will then be able to evolve to greater complexity by themselves. Any such life on present day Mars might be exceptionally vulnerable to modern Earth life, easily made extinct by whatever processes made it extinct on Earth. It's not impossible that it would all become extinct before we know that it is there. Or, we might discover it, but sadly, are unable to find a way to cultivate it in the laboratory before the native life is gone. Such a community, with each microbe dependent on the others, may be especially hard to cultivate in vitro (in the laboratory, outside its usual biological context). Yet there are huge gaps in our understanding of how life evolved on Earth. To find such life on Mars would be a treasure beyond compare, for biology and possibly also for agriculture, medicine, nanotechnology, industrial enzymes, it could be the basis of a multi-billion dollar industry as well. If we are not careful, we could lose such a treasure, perhaps even before we know it is there. Some will tell you that we have already contaminated Mars with Earth life, on our spacecraft and that therefore there is no need to protect it from Earth life. However the situation with our spacecraft is very different from a human landing, with spores floating in the air, in dust, on flakes of skin and hair, and especially after a crash of a human occupied ship on Mars. Trillions of spores would be released onto the surface and amongst them all, some may survive the harsh conditions there and be pre-adapted enough to survive in some habitat on Mars. Our spacecraft, even if unsterilized, are far cleaner than a human occupied ship. Most microbes would not be survive the transfer to Mars on the spacecraft, or once there would be killed by the UV, or at best dormant in a shadow, with no capability to grow there or do anything until they eventually die. If they survive in semi-shade or shadow, then they then have to get off the spacecraft into the ground, and then find a habitat there that they are pre-adapted to, perhaps blown in the wind. They have to get there before they are sterilized by the UV and perhaps the chlorites and chlorites in the dust (effect of UV on the perchlorates). It is a matter of probability, it was never expected to be a certainty, but our planetary protection officers tell us that they think it is unlikely that we have irreversibly contaminated Mars yet. Because of the harsh conditions and the low bioburden on a typical spacecraft. Anyway, if it turned out we had, there are many microbes that could get to Mars, including moulds, haloarchaea, cyanobacteria etc. Even cyanobacteria in the same species, chroococcidiopsis vary greatly in their capabilities depending on which strain you use - the concept of a species is rather more fuzzy for a microbe. If one of these many species has got to Mars irreversibly, the last thing we will want to do is to introduce all the others. Instead it would be a major wake up call. For instance, maybe if there is an RNA world there, it is able to co-exist as a biosphere with chroococcidiopsis. It won't mean it can co-exist with all the microbes we can send to Mars. Some of you may remember president president Clinton's comments on NASA's announcement of the possible discovery of past martian life in a meteorite in 1996. This was the famous ALH84001 (originally found in 1984 but only recognized as a Mars meteorite a decade later). Perhaps you may remember the anticlimax afterwards when the scientists investigated further, and were not able to prove that it was definitely life? What you may not realize is that it hasn't been disproved either. We need strong incontrovertible proof to claim discovery of life from Mars. The whole thing ended inconclusively, and the jury is just out on what it is at present, with some scientists arguing in both directions. Maybe in the future as we find out more about Mars, we will discover that these were traces of ancient Mars life all along. Or maybe the abiological explanation will get proven conclusively. So far though, we can't say. If it is life, then the supposed cells seem too small to include all the cell machinery of modern life. This discovery lead to a 1999 workshop to try to figure out if living cells could be so small. And the answer was yes. Although modern DNA based Earth microbes life simply can't be this small and still include all the machinery it needs to function and to reproduce, modern cells must have evolved from earlier simpler forms of life. The relevant section of the workshop concluded that this early life could be as small as tens of nanometers in scale, far beyond the optical resolution limit of 200 nm, and still have all the cell machinery needed to reproduce, especially if it is based on an RNA world type cell, with no DNA and no proteins. There's another great example of what we might get in a sample return from Mars, the fascinating Tissint meteorite. It's a witnessed fall, and so is one of the least contaminated of all the Mars meteorite we haves. This makes it most like a sample returned from Mars of any of them. The fragments were collected by nomads in the remote deserts in Morocco. Fell on 18th July 2011, and the first fragments were found in October 2011. More about the story of its discovery here. It has some contamination by Earth organics - but in minute amounts, and since the sample tubes would not be 100% sterilized, the same would apply to the samples cached by Mars 2020. Again, for various reasons, some scientists see this meteorite as good evidence of early life on Mars. They found organics, but not just any old organics. It also had a much lower ratio of carbon 13 to carbon 12 than the present day Mars atmosphere of -12.8% to -33.1% . Here carbon 12 is the light stable isotope of carbon which gets taken up preferentially by biological processes. Carbon 13 is also stable but not so much favoured by biology. What's more, the difference between those two ratios was similar to the difference between the ratio for a piece of coal (biological in origin of course) and our atmosphere. "Insisting on certainty is unwise, particularly on such a sensitive topic. I’m completely open to the possibility that other studies might contradict our findings. However, our conclusions are such that they will rekindle the debate as to the possible existence of biological activity on Mars – at least in the past." "I think the onus is on [the researchers] to provide that extraordinary evidence. I don’t think they have it at the moment." If Mars 2020 finds a rock like Tissint on Mars then the organics with this isotope signature would make it a top priority rock to return to Earth for analysis. So I think this discussion gives us an excellent "preview" of what could happen after a sample cached by Mars 2020 on the basis of geochemical analyses is returned from Mars. This meteorite, despite apparently clear isotope evidence, is proving as controversial as for the ALH84001 controversy. The problem is that it turns out that there are several non biological ways that the same isotope signature could be created on Mars. They could come from carbonaceous chondrites, which have wildly varying isotope ratios, but on the other hand their organics are insoluble so less likely to get into this native rock. They could also come from hydrothermal vents. Abiotic methane can have carbon 13 depleted to as low as -50%. See page 3 of this paper. What if the astrobiologists study the samples returned from Mars, and are simply unable to tell whether the organics came from life originally or not? What happens if the result is another decade of inconclusive discussion, just as we had for ALH84001 and the Tissint meteorite? Surely, this will be a huge embarrassment for NASA. If this happens, it's not the fault of the astrobiologists. Here is my "Future Possible News" story - this is something that could easily become a reality and unfold pretty much like this, if NASA go ahead with returning this sample in the 2020s. The image here is a detail of one of the less well known close up electron microscope photographs of ALH84001, the controversial meteorite that was first announced as the potentially the first discovery of life on Mars, but later the announcement was withdrawn as premature. It remains controversial to this day, with astrobiologists arguing both sides of the case. It would be good if the sample return mission was presented clearly to the public as what it is, a primarily geological mission that is also a technology demo for a possible future astrobiology sample return once we know how to intelligently select samples of astrobiological interest. If asked how best to answer the central questions in their field, the astrobiologists would choose an in situ mission every time, at this stage of our understanding of Mars. The only sample return mission I have found to date proposed by an astrobiologist is Chris Mckay's "Grab a scoop of dirt" and that is a technology demo of interest for future sample returns rather than an astrobiological mission in its own right. If we are very lucky the returned samples may be of greater astrobiological interest than our martian meteorites. However, this should not be the expectation of the public, or we may be headed for an embarrassing failure. Most likely, the astrobiologists say, indeed by far the most likely result, is that the mission returns samples similar to the Mars meteorites we already have. I hope that at least ESA will not go down the same route that NASA did and that they will continue their path of searching for life in situ. That way we will have at least some in situ astrobiological missions to Mars in the next two decades. With a vigorous pivot to astrobiology, and reduction of costs from the new space industry, we could do a rapid astrobiological survey in the near future, not through sample return, but in situ explorations, eventually with humans in orbit around Mars, send dozens of small robotic explorers to numerous locations on Mars searching for life and get an answer to these questions. We can do this! Some of the commentators on this article have suggested that SpaceX would send humans there to the Mars surface, and they would search for life. But that's too late, we can't send humans to the surface, if the aim is to complete an astrobiological survey to determine if Mars life is safe for Earth or vice versa. Whatever that survey could have prevented, it's too late to do anything about it, once we have humans on Mars and BFR's or similar shuttling back and forth between the two planets. What SpaceX could do however is provide the technology to greatly increase the pace of in situ astrobiological exploration of Mars. This should be as important for them as for anyone. Surely we don't want to just throw a die with the future of the environment of Earth or the possibility of extinction of martian life. That is what we would be doing if we sent humans there without doing an astrobiological survey of Mars first. We can do better than that. There are many other places for humans to go in our solar system with no planetary protection issues. And that includes the martian moons, probably, and Mars orbit. If humans could facilitate searching for life on Mars from orbit, telerobotically, rather than on the surface, this is an exciting mission that could be done without introducing Earth life to Mars or back contamination of Earth from Mars. Either way, the way ahead is to focus on an in situ astrobiological mission to Mars. Is it too late to pivot to an in situ search for Mars 2020? Could they shelve the sample return part of this mission for some later mission once we know what it is that we wish to return? Replace it with an astrobiological in situ suite, and perhaps the ability to drill? They already have a mole able to drill to 5 meters for the Insight lander, so why not add a similar mole and some astrobiology instruments to a reworked Mars 2020 for an in situ astrobiological search? Maybe at some point we can do Chris McKay's "scoop a handful of dirt" sample return instead, and sterilize the sample as a technology demo? Or if there is no chance of a pivot for NASA, is it at least possible to keep ESA on track with in situ missions to Mars? I hope perhaps this article can get some people thinking about such things and maybe we can find a way forward that has an element of in situ searches for Mars over the next two decades. One thing that perhaps might change things is if Trace Gas Orbiter detects signs of a disequilibrium suggestive of biology. Perhaps that might lead to more interest in in situ searches for life on Mars, depending on the nature of the signal? But if TGO finds no traces of biologically interesting gases in the atmosphere of Mars, it does not mean that Mars is totally barren. If what Mars has is a swansong biosphere, with the most habitable regions similar in biological productivity to the coldest driest regions of the McMurdo dry valleys in Antarctica, the effects of its biosphere on its atmosphere could easily be too small to be noticed even by instruments as sensitive as the ones on the TGO. It is not just the brave pioneers risking their lives. It is a risk that can impact on billions of people back on Earth, if the result is degradation of the environment of Earth. That is why nobody would be able to ride roughshod through the regulations to speed up the process. It will need to go through the full process of detailed public review. SpaceX's technology can help speed up the process of surveying the planet for astrobiology, and then we can make decisions based on knowledge, rather than rolling a dice with the future of Earth's environment at stake. With two BFR's in orbit around Mars connected by tethers and spinning for artificial gravity we’d have an instant space station with dozens of people who could be exploring the Mars surface via telepresence. The BFR's 150 tons per payload to Mars would be enough to have several tons of equipment landed on each of over a dozen landing spots on Mars. By sending many instruments to study Mars in situ from Earth, and then from astronauts operating them telerobotically from orbit, we could have the results from astrobiological instruments that have directly studied all the known surface habitats on Mars in diverse locations with just one human mission to Mars orbit to study it via telepresence. It would be bound to turn up more questions to ask, more instruments to send. But within a decade we’d have advanced our understanding of Mars astrobiology hugely. At that point we’d be able to make decisions wisely. There might well be many views on what we do next but at least we’d make the decisions based on knowledge rather than guesswork. This is based on the following sections from my Touch Mars? book - be patient, it's around 2000 pages of text in a single web page with many images and videos, so may take a while to load. What if Mars has really tiny cells - like the structures in the Mars meteorite ALH84001? "Safe on Mars" - could a sample return tell us if Mars is safe for astronauts? I have written three books on the topic of humans in space and ways to do both - to explore in space with humans in an exciting and ambitious way - and at the same time to do it responsibly, to protect both Earth and other planets and to leave the future open so that scientists can continue study of exobiology on Mars and in other places for as long as is needed. And that it is not a rubber stamping exercise. The reason we need to do an astrobiological survey of Mars first is because there is a possibility that we discover that the two biospheres do not play nicely together - that Earth life could make Mars life extinct,or that we could return microbes from Mars that are harmful to the environment of Earth. Touch Mars? Europa? Enceladus? Or a tale of Missteps? (equivalent to 1938 printed pages in a single web page, takes a while to load) also available on Amazon kindle. It is designed for reading on a computer with embedded videos and links, and I have no plans to attempt a printed version. As far as I know it's the first book devoted to planetary protection since "When Biospheres Collide". Any thoughts or comments - do say below. Apologies, I got notification of a post that was interesting, but it seems to have got deleted as spam. My reply to it was too. I've flagged my reply as not spam for Disqus, so hopefully it will help their bot to learn that these comments are not spam, but I can't see the original of someone else's comment to my article to flag it as not spam. If you add a comment here, and your comment disappears, go to your profile on Disqus where you should see all your comments and the one that vanished marked as spam. Tell the Disqus bot that it is not spam and hopefully they will fix it.